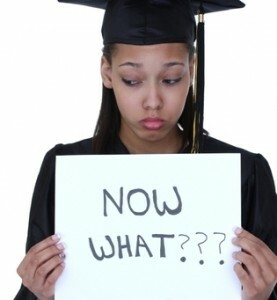 "After Graduation & Feeling Purposeless?" "Heather, I have called you to preach my gospel. The Gospel of Jesus Christ. You and your one day husband will have a worldwide ministry and millions of people will come into the knowledge of who I am through your ministry. You will travel all over the world and don't be afraid because I will be with you." I WAS SO EXCITED! The LORD FINALLY TOLD ME MY PURPOSE!! I had been asking Him EVERYDAY for like 6 months so I was thrilled when He made things to plain to me. I recall jumping up & telling my roommate who wasn't a believer! She didn't seem so thrilled & then the Lord told me that everybody isn't going to share in my joy & excitement but it doesn't change what He has called me to do. He also shared that He never told me to tell her. Lesson learned. :) Nonetheless, I felt like I had some type of direction for the first time in my life. Then I sat there on my bed and thought, wait Lord. I have no ministry experience. I just got saved like 8-9 months ago. I have no parents or even family members in ministry. Wait, you sure that you called ME Lord? I mean, I'm a train wreck. I honestly felt so insufficient. I thought about my past where I chased down bad relationships. I thought about the boyfriend I barely broke up with 3 months ago. I thought about just not feeling enough. …But the LORD said to me, "Do not say, 'I am a youth,' Because everywhere I send you, you shall go, And all that I command you, you shall speak. "Do not be afraid of them, For I am with you to deliver you," declares the LORD. Then the LORD stretched out His hand and touched my mouth, and the LORD said to me, "Behold, I have put My words in your mouth.…"
I realized that if God started this work in me, He will complete it and why was I trying to perfect what HE said to do in my flesh RIGHT after HE told me to do it? THEN, like Jeremiah, I felt like I wasn't ENOUGH. I felt like I stared at all of my flaws and weaknesses and wondered WHY would God use ME? Then I heard a small still voice.. "Heather.. He will put the words in your mouth. He will show you what to do. He will lead you. Slow down and don't rush ahead of God." I realized that I will NEVER be enough in my own strength, power & ability. Its God that is going to have to finish what He started in me. So, I moved back to Michigan to finish school at Michigan State University and I was thrilled to only have 1 year left. I was ready to leave Michigan far behind and never look back because I felt like so much of my past was built up there. I wanted a new start in the Lord, a new beginning. So, in my senior year I began to pray about where the Lord wanted me to go and He told me New York. New York? Lord, I have no job, no connects, no nothing. 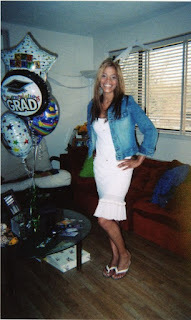 My graduation party from MSU! Left for NYC right after this photo! I knew He was telling me to go. I packed up a enterprise van with as much stuff as I could fit and I made my way to New York. 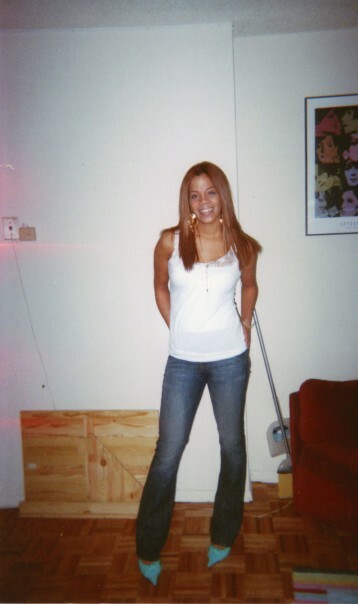 My best friend, Delan connected me with one of her friends from her hometown who needed a roommate and I moved in with 2 other girls to Spanish Harlem, NYC (around 118th street and 3rd ave). It's almost like if you think you're going to live for God and everything is going to be all pretty & perfect. Um no. No offense by any means to anyone living there but our area wasn't the safest area at that time. Hey, it was 2004, not sure what it's like now. Our building was run down, I saw a roach for the first time in my life on a regular basis, I saw mice, rats running around-- there was no central AC, lots of gun shots and I never felt totally comfortable living there. God told me to be there. Talk about a season of STRETCHING! I just KNEW that the second I left college, God was going to lay out this perfect, orchestrated plan for my life where I had somewhere to live comfortably, a great paying job, wonderful friends and that perfect preaching husband. Psh. I lived where I was most uncomfortable, I worked for free at a job where God told me to tell people about Jesus, I had no friends in NYC, no church home yet (I searched like 20-30 churches) and I only had RANDOMS (men I knew I wouldn't marry but I was bored/lonely so I would hang out with them) pursuing me! I'm like, Lord-- I know you said I'm going to marry a man that preached the gospel but I'm not seeing what you TOLD ME! I realized that God won't lay out my life on a perfect platter giving me step 1-100. Instead, He leads me with step 1. After I am obedient to what He told me to do, then He shows me step 2. If I ignore God and run from step 3 then I will stay at step 2 until I'm obedient to Him. Some people get stuck and stay at step 3 their whole life because they are afraid of step 3. Can I be honest? I was scared to not be obedient to the Lord. I was afraid of what was on the other side of my disobedience. I mean, I know you want to marry that man, but that man is HOLDING you back from doing what God called you to do. I know you want that job, but that job is keeping you in a state where you aren't supposed to be! I know, you want to please everybody but God never called you to that career! I know you want this or that but if it isn't what God wants for you, IT MUST DIE. Now, this isn't a pretty process. It's actually pretty ugly. God literally prunes you from the wrong mindsets, attitudes, relationships and crazy ways of thinking, This pruning doesn't FEEL good. This pruning includes YOU being honest with what God called you to do. Yes, you went to school and took out a bunch of loans to become an engineer because so & so was an engineer in your family. But you know for a fact that God has called you somewhere else. Listen, MONEY will never truly make you happy. It will become your SLAVE as you go into work and HATE your job. Then, you take your frustrations out on everybody else because you're in a job & doing something that you HATE in which.. GOD never told you to do. I wanted to host TV. I pursued it. I actually got on a pretty big network. But it was MY idea. My plans. My thoughts. My vision. I thought I needed to "create" a platform for Jesus but I realized that God Himself can create the platform & then put me ON it. I don't have to go & try to do something & then tag God's name to it. After I stopped trying to tag God's name on everything, I actually let God take me through a process. A process of working at jobs that I wasn't crazy about but I KNEW God told me to go there to develop in love, patience, character and integrity. Will I bend the rules and take the company car service home when I technically can.. but I shouldn't? Will I use all the ink to print my bible studies and hide it from my boss? Will I jump into gossip and join my co-workers when they cut up? You won't "all the sudden" ARRIVE at your purpose. It actually takes you being intentional in waking up every morning and living for Jesus. Saying yes to Him and no to your flesh. You can't live any o'le kinda way and expect for the Lord to trust you with your calling! It takes great discipline! I'm not saying that you have to "earn" God because you cannot do that but what I am saying is that He has to be leading you. So, check your heart. Check out your life. Who is making the decisions in your life? Do you even talk to Him? Do you hear His voice? I did a blog on "How to Hear God's voice" and I encourage you to read it if you're struggling there! 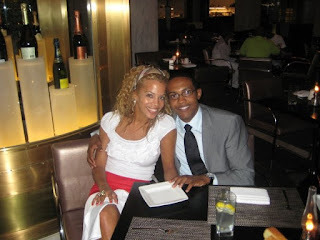 Met my now hubby while serving in those 5 ministries! with the Holy Spirit to hold on to what God told me. And, while I was doing that I served in ministry. I served in over 5 ministries for about 6-7 years faithfully as a leader. I didn't quit when it got hard. I dealt with mean personalities. I dealt with christians talking behind my back. I went through this pruning process and everything I learned along the journey was NECESSARY for what I'm doing today. I am THANKFUL for the process, the hard times, the journey, the eating eggs every night for dinner because I couldn't afford anything else, the working for free, the volunteering, the whatever else because I was doing it as onto the Lord and NOT man. Remember that it is GOD alone that placed PURPOSE in you and you will never be satisfied with what you're doing unless you are doing what HE has called YOU to do! 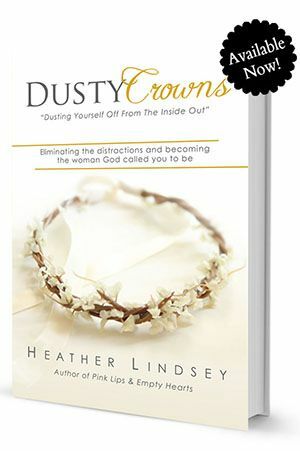 For me, I loved helping women, reminding them of their worth, value and pointing them to the cross. It burned my heart to see women settle with the wrong men & to pursue anything outside of Jesus. I wanted to see them flourish in their relationship with God! I wanted to teach them to cook, dress cute & curl their hair so they would feel beautiful on the inside & the out. I didn't want to see them jealous or envious of one another! I wanted to see a generation of women rise up & actually support and push each other closer to Jesus! God used that to start Pinky Promise! What is He telling you to do? It may not happen right away, but it will! Has God called you to bake? Bake for your local church, for free! Has God called you to make modest clothes? Go find some budget fabric and make it work! Has God called you to be a Doctor? Study & show yourself approved and trust Him to use you to be a light! So, hang in there. Whether you graduated or not, whether you've been searching for a job or looking for a career, slow down and let the Holy Spirit lead you. I saw bits & pieces of God using me over a 9 year time period before I stepped into ministry full time. You have a season and a time under the sun. Be faithful to God RIGHT where you are & let Him lead your path. Eeeek! I am THRILLED to announce my fourth book, "The Runaway Bride" is FINALLY here! 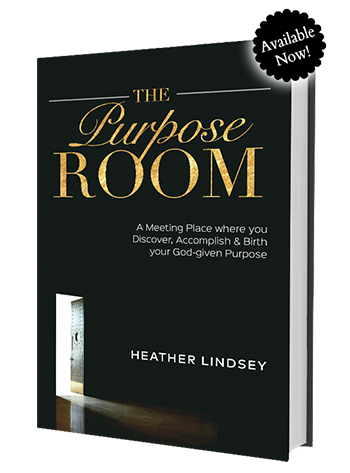 This book is going to challenge you, convict you, make you cry, laugh and most importantly, push you closer to Jesus. 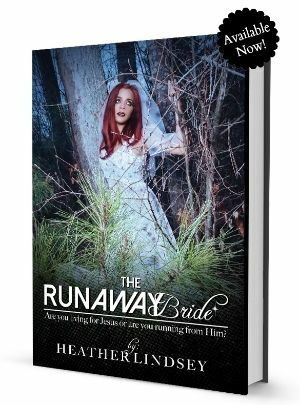 After I preached "The Runaway Bride" at the 2014 Pinky Promise Conference, the Holy Spirit told me to follow the sermon with a book. I had no idea that for the next 9 months, God was going to wreck me, change me and restore me by showing me that I even run from Him in some areas. You can find the book available NOW via a few avenues! 1. If you order it via my Pinky Promise Boutiques, for a limited time, I will sign the books BUT they won't ship until the week of June 15th! You can find the boutique HERE. 2. You can order directly from my publisher HERE. 3. OR You can go on Kindle/Amazon & order HERE! P.S. 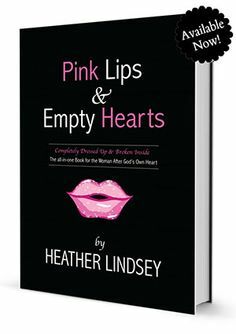 I WILL be selling copies at the 2015 Pinky Promise Conference and I have a few scheduled book signings there as well! I love you all and I'm thankful for your support!